Facebook hardly needs an introduction: it’s the most popular social network in existence today, with over 1.8 billion users. Of these, over 1.2 billion users log on every day. With Facebook Ads, you can take advantage of this audience and target your ads to your ideal clients. With a Facebook Ads dashboard, you can understand what tactics work, how to optimize your ads, and allocate your budget accordingly. Create your Facebook Ads dashboard today! 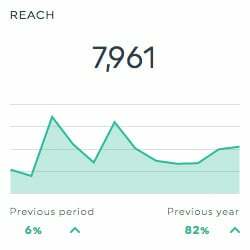 This historic widget shows the total number of actions that users took that can be directly attributed to your Facebook Ads. Actions can include anything from engagement, clicks or conversions. This historic widget shows the percentage of times users saw your Facebook Ads and performed a click (all). It is calculated by dividing the number of clicks by the number of impressions. This historic widget shows the total number of users who saw your Facebook Ads at least once. It’s important to note that Reach is different than impressions, because impressions can include multiple views by the same users. This list widget shows the total number of times users have clicked on your Facebook Ads. Want to see all our Facebook Ads preset widgets? 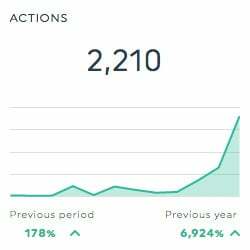 This is the total number of actions that users took that can be directly attributed to your ad. Actions can include anything from engagement, clicks and conversions. This is the total number of times users have clicked on your ad. This is the total amount of money spent on your campaign, ad set or ad during its schedule. This is the number of times users clicked on the call-to-action button on your ad. 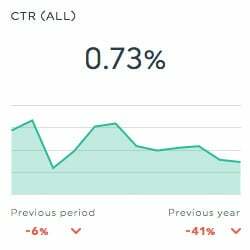 This is the percentage of users who saw your ad and completed a link click. This is calculated by dividing the total number of actions on your ad by the total cost of the ad. This is the average number of times each user saw your ad. This is the total number of comments your ads received (or posts, in some cases). This shows the breakdown of results by the name of your Ad Set. Want to see all our Facebook Ads metrics, segments, & dimensions? You’ll find them in your new marketing dashboard! How do I create a dashboard using Facebook Ads?